Passengers was a U2 project which featured Brian Eno as part of the band, as well as other guest “Passengers” on a variety of tracks. “Your Blue Room” was tipped to be the second single from that album, but never became a commercial single. Instead it only exists in the form of two promotional singles. The first CD was produced in the UK, and contains just a “Radio Edit” of the title track. It was released in a fully printed cardboard sleeve. The back of the sleeve is blue with a picture of the Passengers album cover and information about the promotional release. 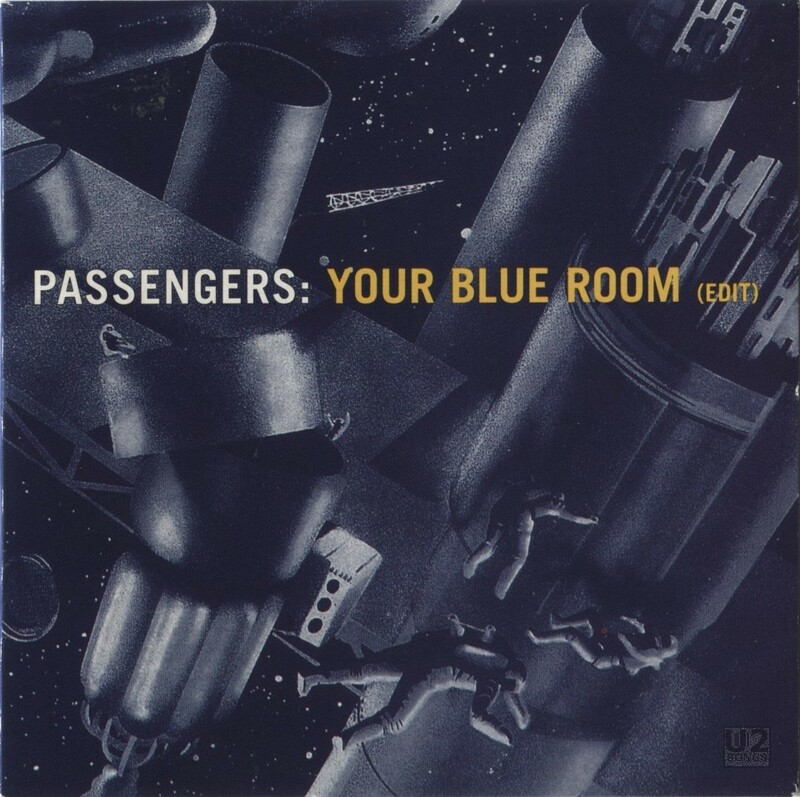 The front cover features a cover similar to the Passengers album, although fully tinted blue except for the title text. It is known that a number of bootlegs of this CD exist, and these can generally be identified by a very tight fitting cardboard sleeve, as well as a matrix number under the CD that does not look anything like other matrix numbers for that era. The other 5-inch promotional single was produced in Mexico. It was released in a generic Polygram card sleeve, and the face of the disc is blue, with a drawing of a room – this drawing is by Bono. This version of the single contains both the “Radio Edit” as well as the version of the song found on the album. The “Radio Edit” is exclusive to these promotional releases and has not appeared on other releases. Music by Passengers (Brian Eno & U2). From the soundtrack of “Par-Dela Les Nuages / Beyond the Clouds” (Michelangelo Antonioni / Wim Wenders, Italy).